The full circle of a building’s life is never complete but rather an ongoing process of adaptation. In the case of 800 Washington, a look into the past was necessary to find the next life cycle of this building. The architecture represents one of the finest examples of Richardsonian Romanesque in the Minneapolis warehouse district. The stone arches and carvings call back to a time in our history when beauty and elegance could still represent industry. Built in 1910, the building owns a significant place in the city’s history as home to the Deere and Webber tractor factory and warehouse, hence the wide corridors. 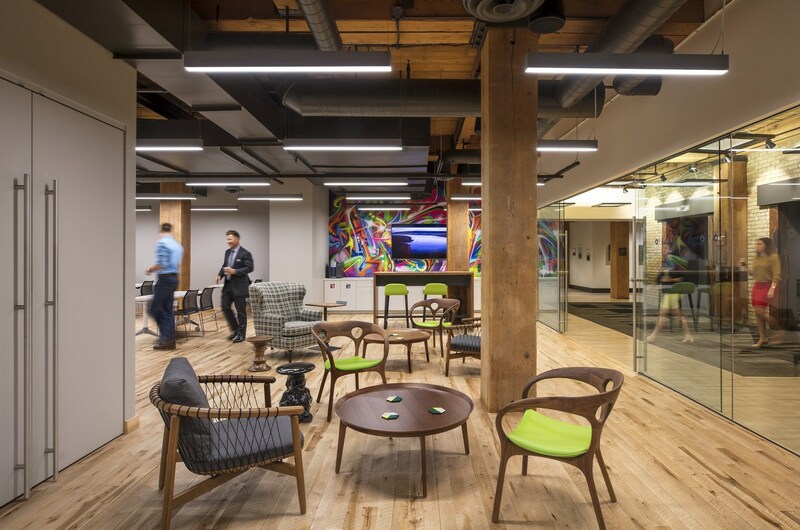 Through the years as the times changed, the building was adapted for many different industries including the automotive industry, artist quarters, merchandise mart, storage facility, and renovated offices and design studios. Currently, a unique blend of businesses and restaurants call the building home. 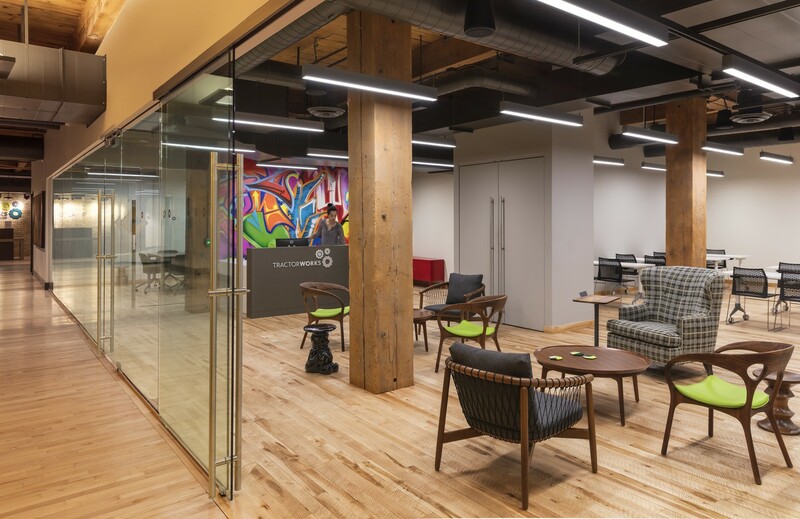 In this unique opportunity to renovate, we looked at the building’s natural resources as our inspiration; timber and stone columns, brick walls, wood floors, and ceilings. The beauty of these elements was restored and refinished. In addition, new features were added including a new roof deck off the seventh floor, renovated skyway entry finishes, new corridor carpet, and a new interior connection to a fitness studio.